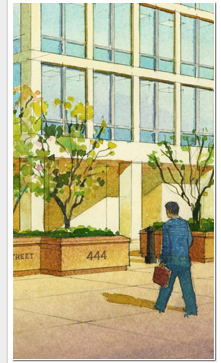 Your selection of office or retail space at 400-444 North Capitol Street, N.W. ensures for your business a prestigious address in a business center backed by the management services of the Lincoln Property Company. We believe you are an integral part of our success and we welcome you and extend our pledge to provide the finest professional management services. In support of your daily operations, Lincoln Property Company is pleased to provide this Electronic Tenant® Handbook specially designed to provide quick, useful information about your building’s general policies, security and emergency procedures, area amenities, services, and parking operations. The contents of this handbook in no way amend the terms of your lease or the rules and regulations of this building. If there is any question, your lease predominates. We welcome you and extend our pledge of continuing cooperation, quality service, and professional property management.